Watching dramas and variety shows I get to see my favorite stars eating all sorts of yummy looking snacks. Where I live there isn’t exactly an abundance of foods from other countries. I used to live in Seattle where there were so many more options, yet I wasn’t addicted to Asian Dramas back then. I wish I had those options here now, but alas it is not so. I’ve ordered a few food items here and there from Amazon and H-Mart, but it is hard to know what to buy. Though I am hopeful that as I learn to read and speak Korean I’ll know more about the items I’m ordering. 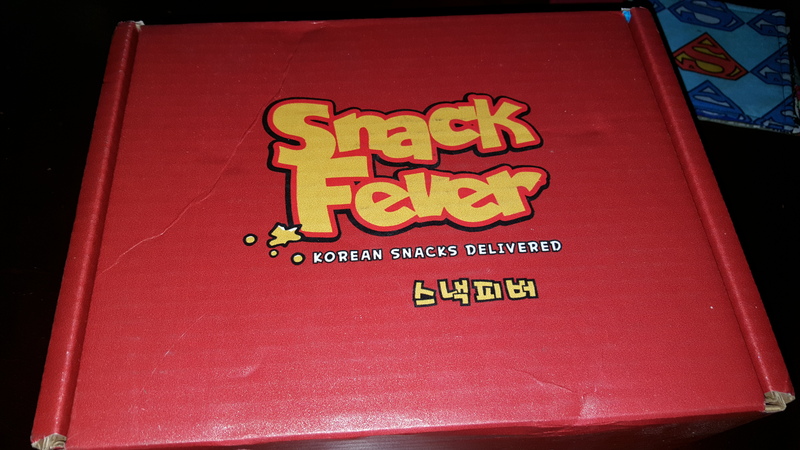 So when an add for SnackFever popped up on my twitter feed I had to check it out. I wanted it very much. Now I’m extremely happy that I signed up!